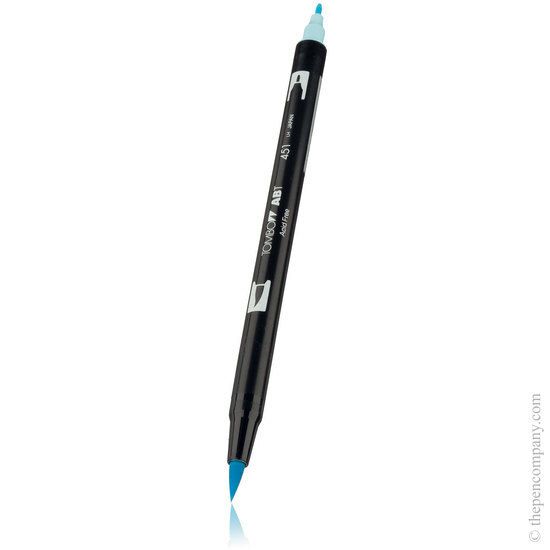 A double tipped brush pen, with large flexible brush tip for colouring large areas and a fine tip for precise work. The ink is water-based and can be mixed together and used as watercolours, using the blender pen N00. I recently found the pen company used to have difficulty finding these great art watercolour pens NOT ANY MORE! They are so easy to use!!! These pens are very nice to use and they were delivered promptly. I've ordered many times from The Pen Company (Tombow Brush Pens) and their service is fantastic. The quality of the product and the price is amazing and I would highly recommend them to anyone. 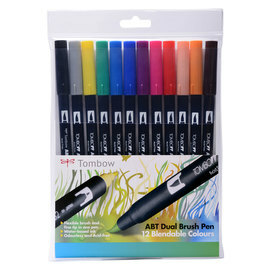 Cannot praise The Pencompany enough for such brilliant service as regards ordering & delivery of tombow pens which I have to say are a joy to use , will no doubt be ordering more with the hope of collecting the whole colour range ! 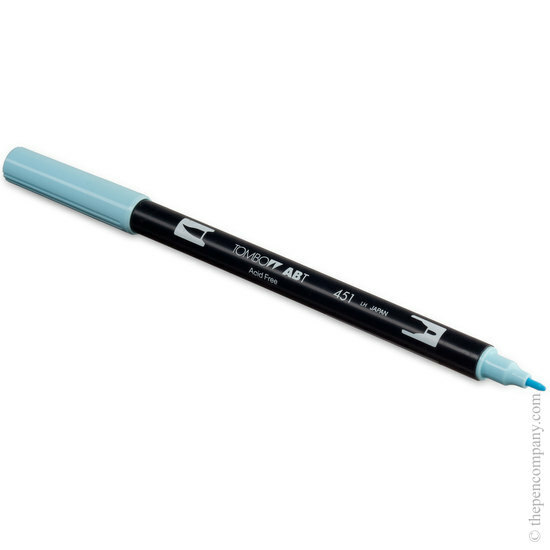 Great for illustration, for those new to the pens, they blend like paint with precision that you might not get with brush use. 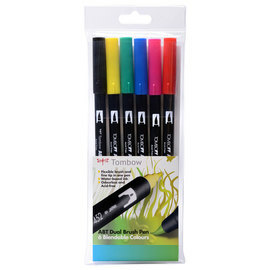 With their dual points these pens are very versatile. Colours are really vibrant and the inks long lasting. Altogether an excellent product. Work great. Produce nice results for both colouring and sketching. Good range of colours. I like this pen - good for making flourishes or filling in. I always use these for my denture designs to be sent to the technicians. 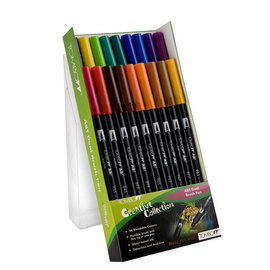 Way quicker and last longer than normal felt pens.